Author of The Chronicles of Thomas Covenant, one of the most acclaimed fantasy series of all time, master storyteller Stephen R. Donaldson returns with this exciting and long-awaited new series that takes us into a stunningly imagined future to tell a timeless story of adventure and the implacable conflict of good and evil within each of us. Unique concept for sci-fi; but a bit dramatic. 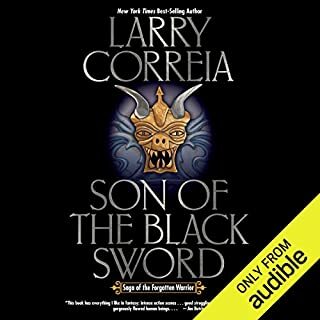 This had been on my list of things to read or listen to for a long while before I found it on Audible. I was a bit put off by the reviewer who said it was not suitable as an audio book. Some books can be harder to follow than others if you don't have the text to refer to. I have never even sampled anything by Glen Cook in a bookshop so I wasn't sure what to expect. But since it had been on my list for so long I downloaded it impulsively and was very surprised to discover that it is one of the most captivating books I have listened to for a while. It is very easy to follow. The sentences are very short and the plot is very simple. Nevertheless the language is evocative and rich. The words are well-chosen and there is an admirable economy of style that is quite rare in fantasy writing. The background is interesting and quite possibly the unacknowledged inspiration for many more recent fantasy novels. The conception is seminal and bold. I am really enjoying it. 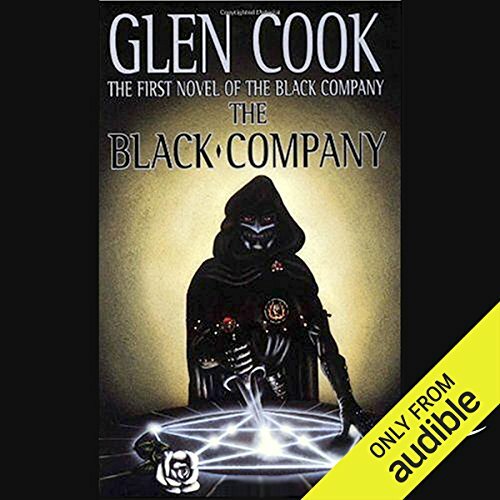 The Black Company is a hugely enjoyable book. It is not the best written nor is the plot the most sophisticated but in terms of capturing what's been called a 'grunt's eye' view of the fantasy battlefield it stands out. The story, of a company of hard-bitten mercenaries in the service of powerful and evil sorcerers could easily be hackneyed. It is to its credit that it isn't although it is no stranger to certain fantasy tropes. Where it wins is with a good yarn, engaging characters (heroes might be stretching it), undoubtedly villainous villains and a sense of humour. For me though, there was an issue. 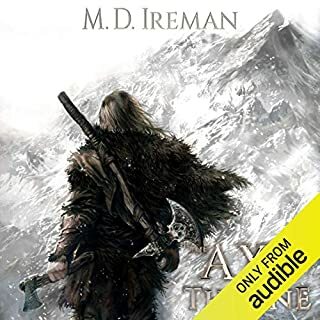 I had read the entire series before coming to the audiobook and the moment I hit the start button I ran into a problem. The narrator's voice was not even close to the one I had in my head while reading the story. That is not a criticism of the narrator just one of those things that happens. The problem was - it wouldn't go away. So while I still enjoyed the story and will download more, I was left with a sense that the book hadn't quite been captured properly. This is probably compounded by the Black Company being written in the first person by Croaker, the Company's medic, and it just wasn't Croaker. There is no doubt the dissonance hurt the narration for me and because the voice was wrong, the narration just never quite came to life. The story does throw you in at the deep end. I found myself struggling to catch who was who and what was happening to start with, where most books introduce the setting and characters more slowly and smoothly (the only thing stopping it getting 5/5 stars). After about an hour, this settled into something a lot simpler and I began to care about each of the characters; I didn’t have to work hard at it. Give it until at least 90 minutes in before deciding to give up. There is plenty of action if you like that sort of thing, with a fantastically told epic battle at the end (and I love a good battle scene). There is plenty of sorcery, grey moral areas, brutality and humor, exactly what a good fantasy book is made of. You can definitely tell that a lot of popular modern fantasy novels have been influenced by Glen Cook’s work. Marc Vietor grew on me more and more as the story went on, but this may be because I got used to his style. At first, he was just satisfactory – nothing amazing, but also not bad at all. 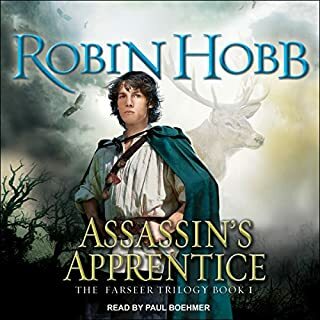 His voice acting is good enough to distinctly recognise the characters, but I found he could have enhanced the performance by acting out the exhales, whimpering etc rather than reading the verbs from the book, like most good narrators do. 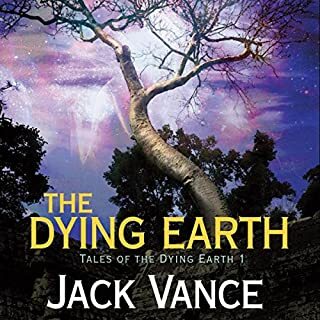 His dark and dramatic tone of voice did suit the style of the story quite nicely, they are after all a company of mercenaries working for the evil side of the war and constantly outnumbered. But it was a dire story. 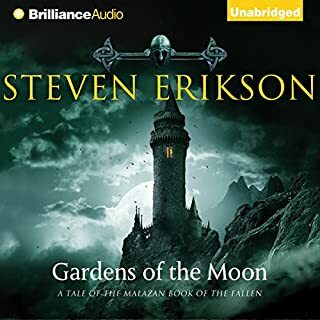 I tried the books a few years ago and never got into them, so Audible finally gave me a chance to try a different format. It was better. but not enough. I made it 6 hours in before giving up. On the positive side, the narration is fab. Vietor is almost June-like without being quite so dramatic, and this suits the gritty fantasy-noir story, bringing real life to Croaker - our protagonist. The characters are good, the world setting is also interesting, and Cook's dialogue is brief, to the point, and often very chucklesome. It's just the story. The story is the let down. I'm 6 hours in and I have no idea what's happening and who's doing what to who and why. I think it's because I'm so bored by the pacing that I'm just drifting off at times. The plot lumbers along ponderously like that slow driver in front of you on a single track lane. You can enjoy the scenery for a while, but eventually you just want the guy in front to put his bloody foot down and get where he's going! Maybe I'll come back to it in a few months, because I really wanted to like it. But my problem is that I can excuse a whole lot of bad stuff if there's a strong story. This was the reverse. Weak story - strong everything else. And it just wasn't enough to see me through to the end. Starts out slow but gets a lot better throughout. The narrator’s style fits the book well, too. Whether it was the story or the narration I just couldn't get on with this book. I barely managed to finish the first couple of chapters before I returned it. Yes. I've been a fan of fantasy for many years now from movies to video games and everything in between and this by far has to be my favourite fantasy series of all. The contrast of a dark fantasy story mixed with realistic actions and emotions this comes pretty close to how a person would most likely act in these circumstances and the style of being a written chronicle of events really help you feel as though it could be you in the story. Croaker, the conflicts in this head are very relate-able, so much so that i can imagine myself in his shoes. What does Marc Vietor bring to the story that you wouldn’t experience if you had only read the book? I think the voices and tired emotion he gives the characters really helps bring them to life, the way i would have read it in my head would have been a lot different and probably influenced by other characters from other stories but Mark Vietor really gives the characters their own personalities. Not so much a specific moment more of the conflicting emotions of the characters and their moral alignment. 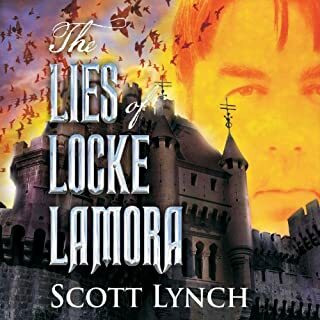 For anyone who has an interest in dark fantasy this book is most certainly for you, and if you're not so keen on the genre i would still say give it a read, you may find yourself pleasantly surprised. I should never have bought this. This style of book is not suitable as an audio book. Its too fast and fragmented. I can see it might work as a reading book (maybe) but not for me. I could not get the characterisation or what anybody was actually doing. Maybe when I am really bored I will try again, but thats not likely to be any time soon. I got this book with the view to read the series as it appears on some recommended book lists I follow. Looking more closely at the reviews on here it appears people fall into two camps either loving or hating it. After listening to more than half the book I have to admit I just could not get into it. I'm distracted by the narrator and poor voice acting in my opinion, bad writing, poorly developed characters, story that jumps all over the place and is difficult to follow. Personally I just put it down to the fact that it was written in the 80s and we've moved on. The just pales in comparison the the Joe Abercrombie books I just finished listening to. I just can't recommend this.